In seminary, I had to take a class on prayer and I remember being incredibly scared. Scared, as it were, of the painful reality of God's conspicuous silence. I have often characterized my spiritual life in evolutionary terms – inasmuch as it is not so much marked by sudden and complete changes as it is by slow and gradual processes. So when I first read the syllabus for this class and saw that I was pressed to seriously consider the matter of my own prayer life, I was afraid I would be charged with the arduous task of identifying which change among the thousands of minute ones is most important to me. I was afraid that after all was read, said and done I would have nothing more to say about prayer than I did before. That the God who comes in fire to some, still whispers to others, has yet found a way to speak to me. This silence of God, His utter hiddenness in my life, has never caused me to doubt His existence, or even His love. These things I never fear. I fear most that the God who came upon the clouds and whose voice renders existence from nothingness, does not speak to me at all. I am not sure I ever thought in the past that prayer could be an expression of life's growing pains. It develops and matures and sometimes painfully so. Prayer in my life has felt a little like the days of Samuel's boyhood, a time where God's words and visions are scarce. Far from portraying myself as a little boy abandoned in a world of silence, I am simply identifying a phenomenon for which I wish I had no share. Is it not also true that the great Mother Theresa experienced a life rife with silence, wrought with darkness? Prayer to me has mostly become an expression of faith. But it is an expression that is gradually becoming richer – daily becoming informed by new experiences. I used to understand prayer as the time we set aside to both thank God and make requests of God. This understanding is accurate but not nearly exhaustive enough. Prayer is the sum of many meaningful parts – innumerable auxiliary methods. Learning about all the different approaches and understandings of prayer has led me to the conclusion that any single definition of prayer will miss something, but I will try nonetheless. To me, prayer is the effort we make to glimpse, if only for a moment, the divine. It is the struggle, the very strain of our ears to hear truth in silence. It is the effort of our hearts to form words of meaning without sound. Prayer is formed by our life's experiences, growing and adapting. It is the language that our souls speak and God understands. It is the praise we offer and the requests we make before “amen,” but it is mostly the stuff we say and do afterward. Prayer is in the disappointment of failure and the wounds of unsuccess. 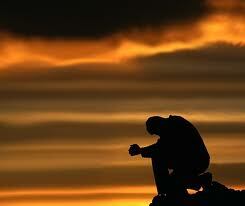 Prayer can also grow from the misery of loss and the pangs of guilt. Prayer is in the way we use our hands, or the places we put our feet. It is a lifestyle, a worldview. It is to be awestruck and speechless or afraid and trembling. It is an action, it is a passing thought. Prayer is gradual and instantaneous, borne through process and immediacy. It is scripted and spontaneous, memorized and made up. Prayer is a time alone or a community experience. It is in the surprise of wonder and the abruptness of death. It is the content of our hearts and the direction of our minds. Prayer is the manifestation of our vows, the actualization of our words – yet it is both the vows and words too. A Christian without prayer is like a potter without clay. I have experienced a great number the aforementioned and the prayer class actually gave me new perspective about what prayer is.Though no one experience has brought me to the very throne room of heaven, many of them have given me glimpses of purpose. Many have helped me realize that prayer is not always easy – it is a struggle – and more importantly, it is a struggle for almost everyone (that, at least, is comforting). For me, prayer is mostly an experience of silence and emptiness where I petition God and praise God in faith – hoping that my prayers are heard. Still other times there is too much noise and racket caused by life’s pressures to focus. But most importantly, sometimes amidst the silence there is not an emptiness, but rather a feeling of presence. That is progress for me. To sit alone and feel as if your words are both heard and meaningful is scary and great – an arabesque of mixed emotions. To think that God is truly hearing my words and studying the innermost parts of my heart is not always comforting, it is an alarming vulnerability. In effort to experience again such a feeling of presence, I began to experiment with new ways of trying to commune with the divine. At one point, when I was meditating in silence, straining my heart and reigning my thoughts back, trying my best to be attentive to God's presence, I was overwhelmed with peace. It was a peace that went straight to the bedrock of my confidence in God. Without words or whispers, fire or clouds, I simply knew that my efforts were pleasing to God. Merely trying can make God happy.